At least one of the narcotics officers involved in a search warrant that ended up in a shootout last week has been relieved of duty, the Houston Police Officers’ Union said Thursday. The officer is not one of five that were wounded in the raid. 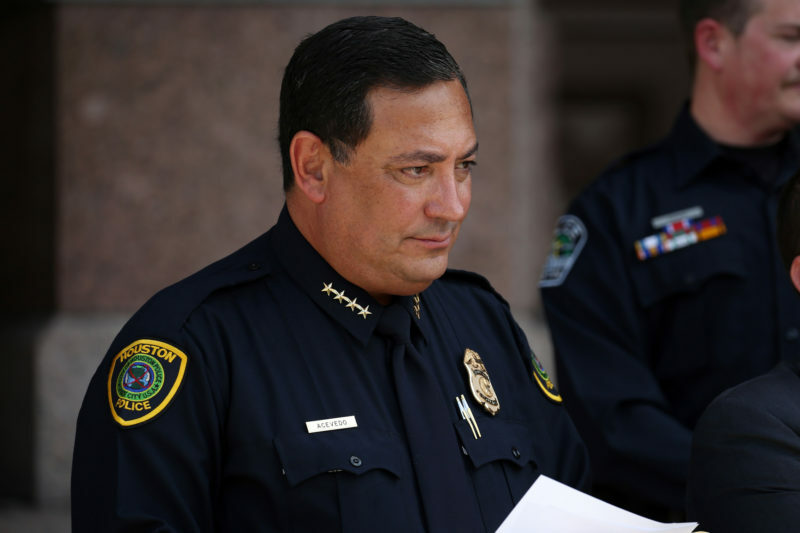 HPD Chief Art Acevedo also released a statement and said there is a lot of “speculation” about the circumstances of the shootout and urged the public to let the internal investigation that HPD is conducting “take its proper course and proceed to conclusion.” The statement said the department will report its findings at the conclusion of the investigation, rather than releasing information “piecemeal” as the case proceeds. Social media posts have fueled speculation about the circumstances surrounding the raid and subsequent shootout. Union officials tried to dispel those rumors, stating officers were not on the wrong street. The search warrant that led to the raid showed officers had reason to believe large quantities of heroin and guns were inside the house. Harris County District Attorney Kim Ogg said in a statement prosecutors with the Civil Rights Division are working with HPD “to look at every aspect of this incident.” The policy of the DA’s office dictates that every shooting by a police officer is presented to a grand jury to determine if any criminal charges are warranted. EDITOR’s NOTE: The original version of this story erroneously reported the HPD officer who was relieved of duty is one of four that were wounded by gunfire during the raid. This story has been corrected.